Regulation of the cell cycle is perhaps the best-understood facet of the DNA damage. DNA damage signals generated downstream of the apical DNA damage signaling kinases ATM and ATR lead to transient checkpoints in the cell cycle at the G1/S and G2/M boundaries, as well as transient inhibition of DNA replication. The focus of this review is to highlight the current understanding and established principles of DNA damage-dependent cell cycle regulation, including the roles of protein phosphorylation/dephosphorylation, and regulated protein degradation. 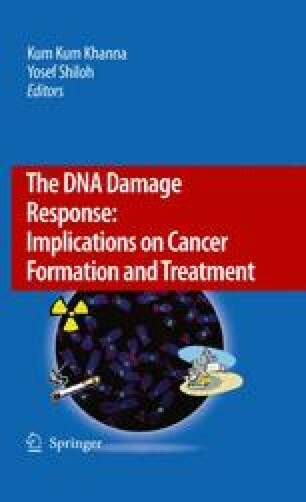 The DNA damage-cell cycle paradigm has broad implications for understanding genomic instability, cancer susceptibility, and neurodegenerative disease.